* to the assumptions of linearity. * still control for this potential source of bias? * Imagine we have data from some intelligence test available. label var IQ_test "Normal fitted values for intelligence approximation"
label var id "Individual specific ID"
label var year "Year of observation"
label var education "Explanatory variable education (with time constant and time varying components)"
* and years of education in the data. * has an even better fit. label var u "Error term (correlated with unobservables intelligence)"
* Thus the error term and eduction are correlated. * between the error term and the explanatory variable. * that of not including any proxy. * own scale on intelligence from a noisy measure. * This creates a more biased measure. 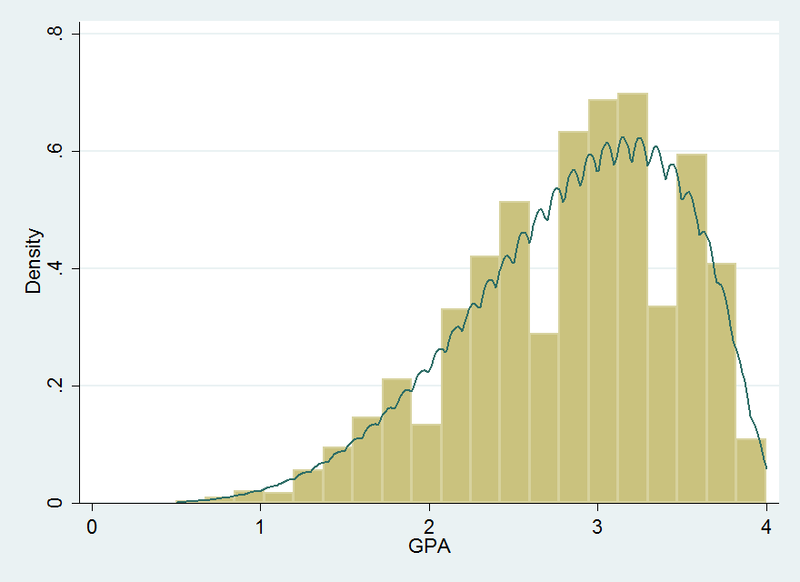 * intelligence is more correlated with IQ than GPA. * by a simple fixed effect model. * fixed effects model is sufficient to control for this bias. * about the world of Correlated Random Coefficients.